I didn’t enjoy the Christchurch earthquakes. But at least as bad as the earthquakes were the depressing policy failures that followed. Policy moves stoked regime uncertainty and stymied recovery. When I started in at the Initiative, I’d asked Oliver if we’d be able to take on earthquake policy as part of the deal. Wellington’s earthquake-prone, and I wanted us to at least try to help make it less likely I’d have to live through another Christchurch-style policy mess if Wellington got its quake. Jason Krupp started the work for us before he moved on to the Minister of Finance’s office last year; Bryce Wilkinson and I finished things up. The report came out today. 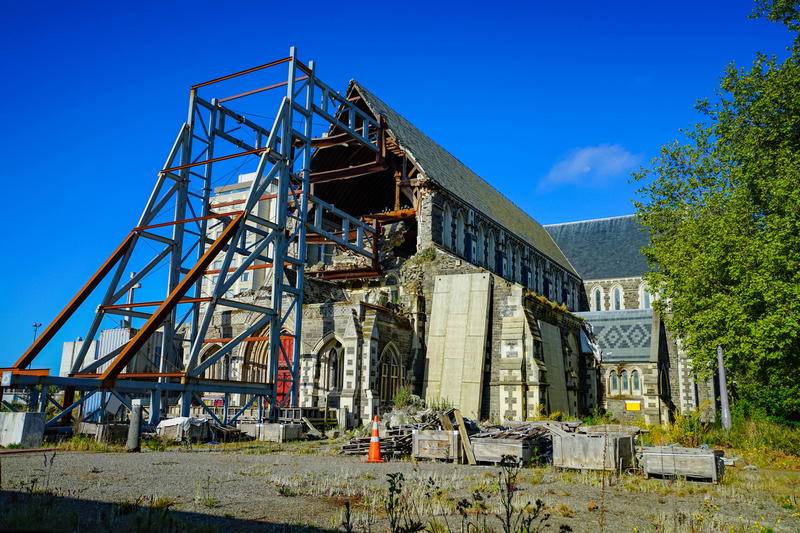 The biggest upshot: government needs to plan ahead for the next earthquake to avoid causing the kind of regime uncertainty that stymied recovery in Christchurch. If you set the legislative and governance framework now for a recovery agency, it won’t have to be creating itself while dealing with earthquake recovery. If Councils look through their long-term plans now for things they’d want to have in place after a natural disaster, they won’t have to put downtown recovery on hold for two years while figuring out zoning changes that have far less to do with geophysical changes than they do with just general urban planning – like Christchurch’s precincts. And at the same time, if they identify bits in the city plan that would be really important to change after an earthquake, like Christchurch’s absurd rule against secondary kitchens, those changes can be made automatically after a disaster rather than relying on frazzled Council staff to make the fixes. If government evaluates the trialed (and look-to-be-excellent) Kaikoura changes to EQC and formalises them for the next one, everybody will know who has which jobs after the next one, and EQC won’t have to again try scaling up to run insurance assessments better handled by private insurers. I’m an optimist. The current Labour-led government should have little need to defend the bad parts of the prior government’s response to the earthquakes. And Labour MPs represent the parts of town that were hit hardest by policy failures around insurance. As I wrote in the NBR ($), this is one of those really important but not urgent policies that’s too easily left on the backburner. It shouldn’t be left there. Interest.co.nz on our suggestion that failed insurers be handled through an insurance parallel to Open Banking Resolution. We think it could help avoid bailouts, but there are important details that would have to be worked out. We suggested it as something the government should consider, rather than necessarily implement. Former Christchurch Mayor Bob Parker on the report. Wish he’d been asked why he didn’t ease up the ban on secondary kitchens when people were living in garages. I also chatted with Mike Hosking this morning about it but haven’t seen a link around yet. Should be on the TVNZ news this evening, so stay tuned for that. Will link when it’s up. Will be chatting with Stephen McIvor on the RadioLive Drive show at 3.45 this afternoon as well. Update: bit of fun. I liked Charlie Gates’s attempt to cross Christchurch’s downtown without hitting empty derelict sites. Can I get from one corner of Christchurch to the other without passing an empty site?